Scientist by education, pilot and flight instructor for passion, author and keynote speaker. 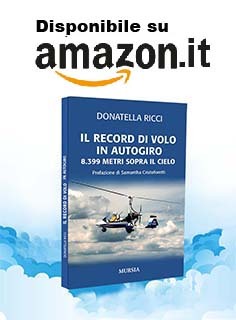 Donatella Ricci is a professional in the aeronautical industry. 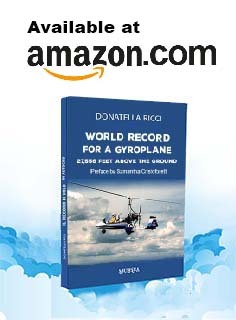 As of November 2015 Donatella Ricci is gyroplane World Altitude Record holder: altitude 27.556 ft / 8.399 m.
Donatella's passion for flight brought her to high profile positions in the Italian aviation industry. Founded by Donatella, Flydonna is an international ladies pilot meeting held in Italy, ladies involved in aviation for profession or passion. Flydonna 8th Edition took place in 2018. Already planning the next edition. 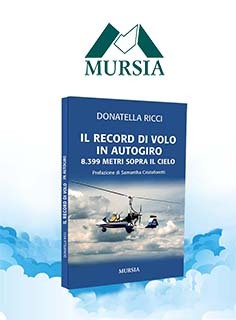 Hot-air balloon pilot, first female President of the Italian Hot Air Balloon Federation.